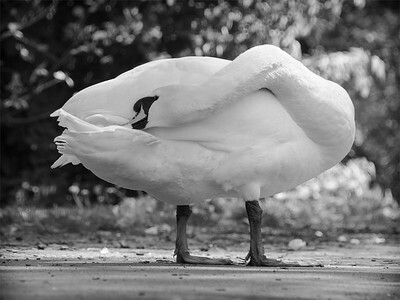 Swans in natural environment - color and black and white photos. 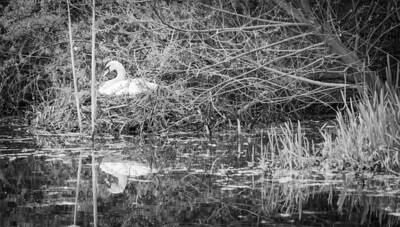 Swan between meadow and wood, close to a pond where it lives with its partner, just waiting for cygnets to be born. Prague borders. 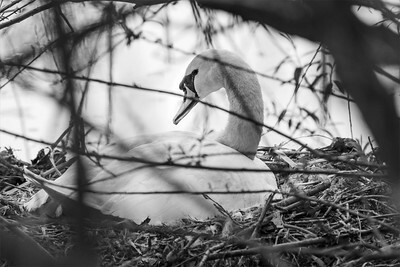 Swan just before sits again on the eggs in nest. Prague outskirts. 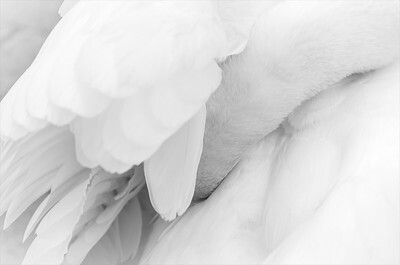 Swan in nest in pond. 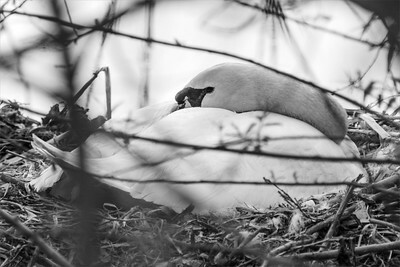 Every year you can find a couple of swans nesting by the river Vltava. 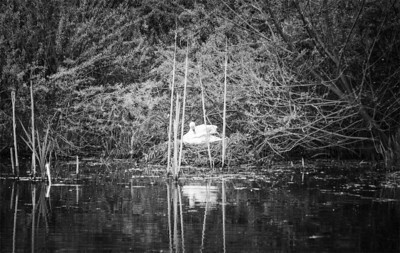 Swan in nest in pond.Every year you can find a couple of swans nesting by the river Vltava. 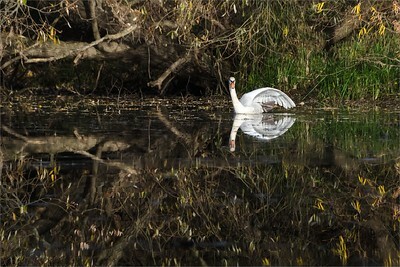 Swan in nest in pond. 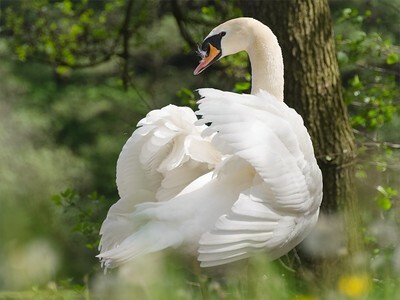 In the area by the river Vltava on the border of Prague, every year you can find a couple fo swans nesting. Time to time I go there and they have always been O.K. with that, including this time. 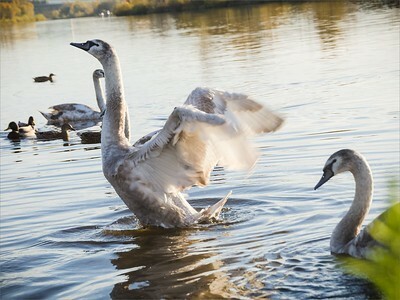 During day, before nesting and later with cygnets, they are adjusted to people, approaching them on the river bank. In the evening, going back to their shelters. 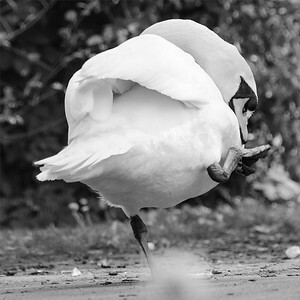 Otter or muscatra probably tried for eggs, however the swan was eble to chase him away (happened mostly behind the grass, very quickly). It did not escaped, only hided. 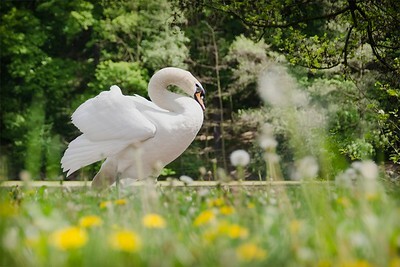 When I was closer and shooting the swan, I did not noticed it, than a half meter of me, suddenly run away. 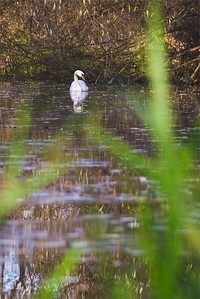 This pict, I was quite in a distance, it is just cut of a bigger picture.